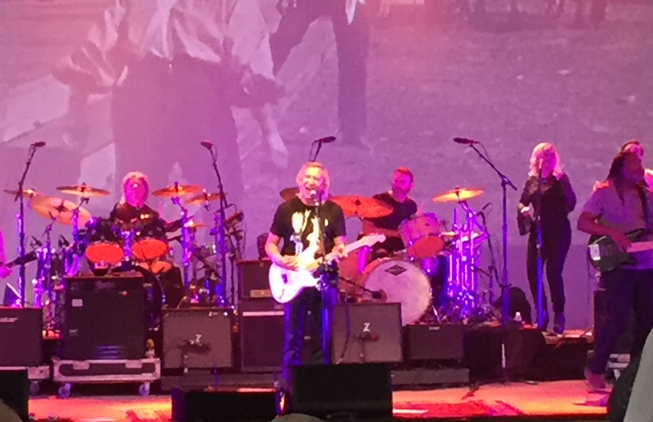 Last weekend my wife and I traveled to Charlottesville, VA, to catch Joe Walsh's "Toor 2016." Yep, you read that right: Toor. 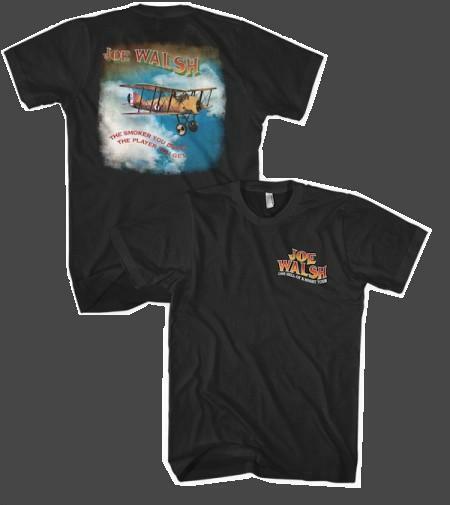 As the Bad Company/Joe Walsh tour at the beginning of the summer progressed, Joe came to the conclusion that his band was playing together so well that he wanted to add a solo leg to extend the tour into the late summer and early fall. 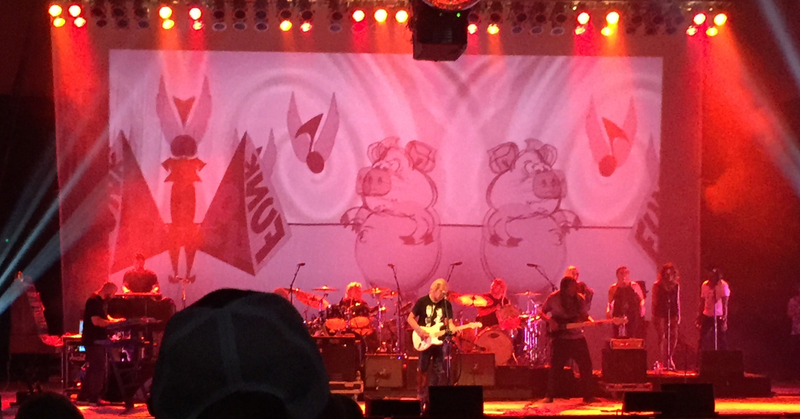 Thus was born the "Joe Walsh Toor 2016." If you know Joe, you'll understand that everything contains a note of humor, right down to tour names. This stop on the tour occurred pretty much in the middle of that second leg. The weather this evening was warm with heavy rain right up until until shortly before the doors were opened. The venue is a 3500-seat outdoor tent theater with a gentle seat incline and a grass section in the back. Our seats were just off-center left and nineteen rows back. Literally at the last minute a young opening act called Alberta Cross was added to the bill and played for about forty-five minutes, starting at seven PM. 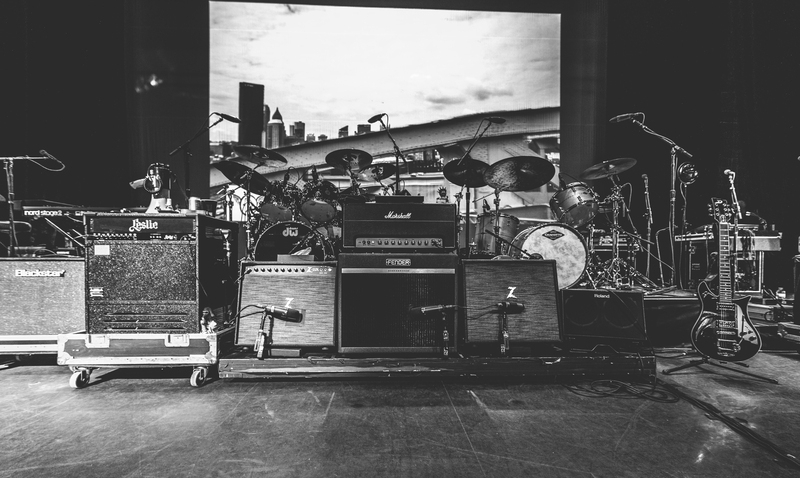 The whole time I wached the lower drum on Joe's Leslie cabinet spinning directly in front of me and thought, "I'm not sure I'd want to open for Joe..."
For this tour Joe brought along his old friend and collaborator from Barnstrom days, Joe Vitale, who switched between drums and keys. I had loved Vitale's montrous drums since I first heard him in the early seventies, so this was a real treat and "closing of a musical loop" for me. 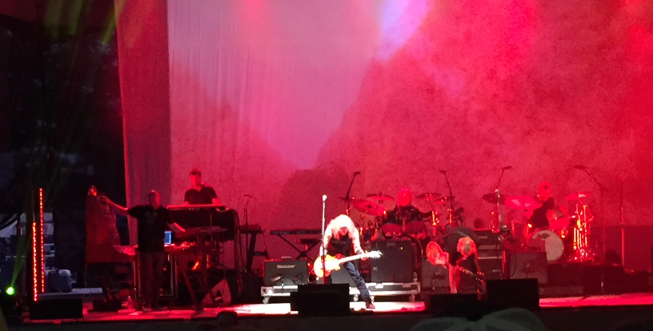 Walsh also brought veteran sideman Waddy Wachtel as his second guitarist and gave him plenty of spaces to exercise his chops on lead. I'd seen videos of Waddy backing Linda Ronstadt and others over the years (Remember the movie FM?) 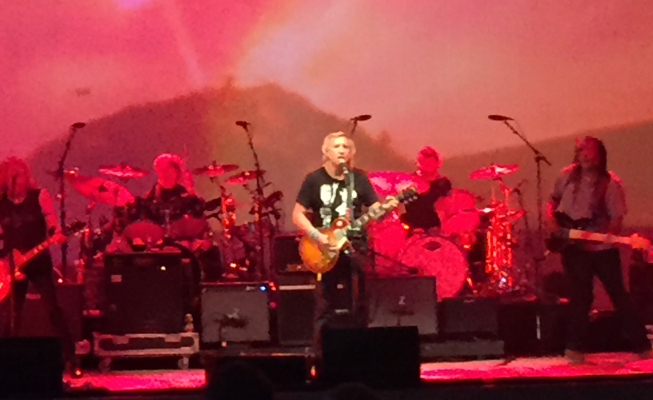 and had always wanted to see him play live so this was another pleasant "closing of a loop" for me. Just before Joe and the band took the stage at 8pm a zany, comical rap song featuring Joe's vocals at half-speed was played back to set the tone for the night. The set opened with an intentionally disjointed "where the heck is this going?" jam that transitioned into Joe's 1971 hit with the James Gang, Walk Away. The musical fare for the night ran from Walsh standards to some pretty deep album cuts that he trotted out for the first time in years. Everyday People (Sly Stone) ("We were using this to warm up but we liked it better than the other stuff we were doing. So here goes!") Lead vocals were provided by BG vocalist Rickey Washington while a montage of strange and wonderful people dancing was projected on screen. Mother Says/The Bomber - DJ Clayton Janes provided analog synth sounds and sequences to match the original record. Take it to the Limit - Joe dedicated this one to Glenn Fry with a Glenn picture montage and footage of guys in flying suits projected above. Turn to Stone - This was a great, organized version with split guitar solos and a video of Trump and Hilary burning on the overhead projection. In the City - Extended end solos by Joe. Funk #49 - During the drum break the BG vocalistas and crew danced around the stage and used cannons to shoot Toor t-shirts into the crowd. The sound, lighting, and staging were really well-executed and the projection and banter were, as expected, hilarious. An example of Joe's typical self-effacing humor: during the band introductions Joe came to drummer Chad Cromwell and said, "I called him over during rehearsals and said, 'You look really familiar.' He said, 'Of course I do, stupid! I played drums for you for two years in the 1980s!' " Everyone onstage seemed to be relaxed, enthusiastic, and in good spirits and that just added to the fun for the crowd. Clearly, the idea was to leave us wanting more. 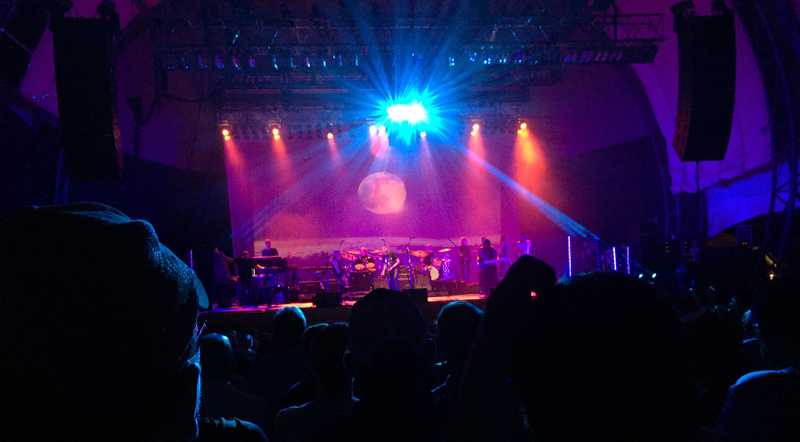 The enthusiastic crowd clapped loud and long between the set and the encore and after the encore. It all made for a fantastic concert experience! 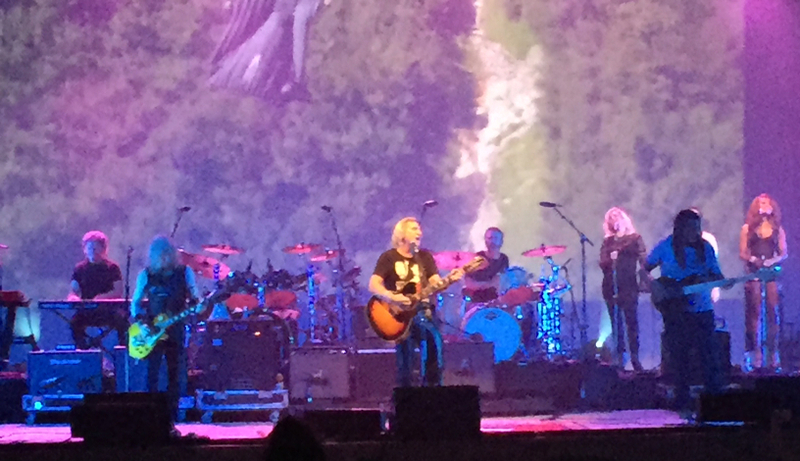 The week after the concert I watched a video on the Sweetwater site in which Joe explained that he had decided that after all the discipline of the Eagles tour he wanted a chance to stretch out, enter "the zone," and improv on this tour. In order to accomplish this he brought together a bunch of folks he was really comfortable with and rehearsed them to a point where they were both tight and comfortable organically supporting the soloing. Interestingly, my wife and I both sensed this during the show. I enjoyed the soloing, she less. The dual drummers were tight, powerful, and spare, and the rhythm section was just spot on.